A gate may denote a controlling barrier or an opening for passage. 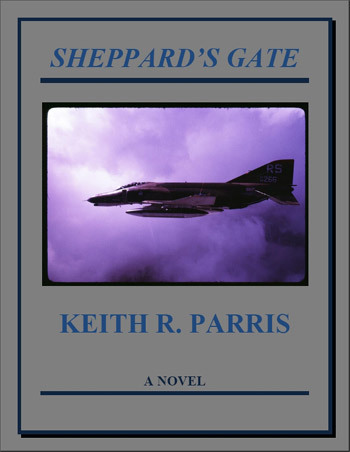 Sheppard's Gate holds the key to the fortunes of two lieutenants whose brief friendship changes their world forever. Troy Pearson and Brennan Frazier know little of that supposed power for good or bad controlling their futures except, perhaps, their expectations of where their next assignments will lead. On a cold, March morning, with foreboding clouds rolling across the barren tarmac of Zaragoza Air Base, Spain, Lieutenant Pearson and Lieutenant Frazier have been reunited for a routine air-to-ground gunnery mission on Bardenas Reales Range. Some would say that chance brought them together at this place. Others would say that their fates were sealed the day they passed through the gate at Sheppard Air Force Base. How they even came to fly this mission in unbelievably marginal conditions is a mystery for the ages, but there is no mystery about the radio call coming over guard frequency and warning that two Phantom F-4E fighter aircraft are downed somewhere in the hills of the desolate, Spanish terrain. Sheppard's Gate is a book of passion and understanding about the camaraderie, trust and sacrifice of our men and women in military service overseas. It captures the exhilaration that sustains and sometimes haunts the dreams of ambitious fighter pilots. In this rewriting of his earlier novel, The Servants of Freedom, the author has improved the book from start to finish, adding new characters and scenes that enhance the enjoyment of his insightful storytelling. Join the souls on board Sheppard's Gate in their struggles with adversity and their search for life and love. 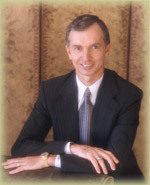 Mr. Parris and the fictional men and women of The Servants of Freedom hope	you find the material included on the pages of keithparris.com informative and entertaining. Our home page is open to everyone and is for your use. Please accept our invitation to browse each page at your leisure and we believe you will also want to get to know Troy Pearson, Cynthia York and their fellow characters in our novel, The Servants of Freedom. 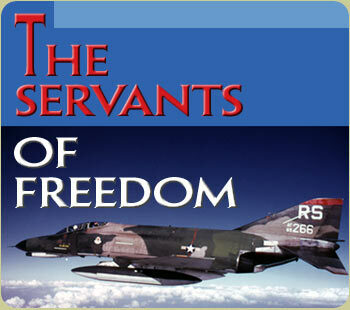 The Servants Of Freedom is an adventurous search for truth, understanding and acceptance. It is about facing and overcoming conflicts, surviving, and not surrendering to tragedy or the harsh consequences of terrorism. Find yourself living as much in Lieutenant Pearson and Airman York's world as in your own, suffering as they suffer and celebrating their victories. Allow yourself to glimpse at the lives and adventures of courageous men and women who have chosen to sacrifice for the cause of freedom. Enjoy a story of dedication and honor, a story of falling in love and of epic struggles against human frailties.